Every Milan fan should want to learn as much as possible about this man by the end of the sale closing later this year. (If the sale does close, that is.) Fassone has specifically been named in the paperwork to become the CEO of Milan. And while jokes about his appearance are rampant, fans might be pleasantly surprised if they google just a little further than images. Some may feel he is not an ideal candidate, but Milan could certainly do worse. And the more I learn about him, the more optimistic I am that he could be the key to Milan’s future. 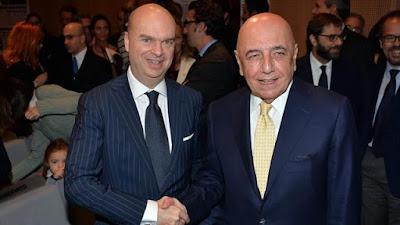 From there, Fassone went to another strong Italian company, Galbani. Also known as “Italy’s Favorite Cheese Brand.” Again, excellent taste, no pun intended. He only spent a year with the company, where he was the Director of New Product Development. But at this time was when my favorite piece of trivia occurred: he was also reportedly an assistant referee in Serie A and B. That is freaking awesome. Some Milan fans will not miss the irony then that he went from a referee to working for Juventus in 2003. Despite this being his first position in the realm of sports, he started as the Stadium Sales and Marketing Director. By the time he left Juve, he was the CEO of Stadium, Sales and Marketing as well as an Executive Director and a member of the Juventus Executive Committee. 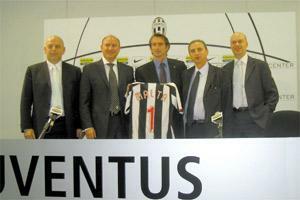 In addition to being the project coordinator for their new stadium, he expanded the Juventus brand globally. And it was even under his watch that the first Chinese Juventus Fan Club was formed, amongst other things. 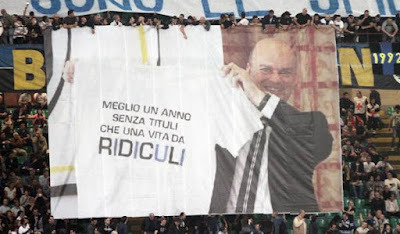 His marketing skills should please Milan fans, as it was during his time at Juventus (undoubtedly after Calciopoli,) that he was photographed with a t-shirt that read “Better a year without titles than a life worth ridicule.” This was of course referring to the relegation of Juventus to Serie B on the one hand and to the morally depraved and laughable joke of a club, Inter on the other hand. After seven very successful years of both business and trolling at Juventus, Fassone moved to Napoli. His title was Managing Director, and he was charged with growing the Napoli global brand and helping to resolve their stadium issues. However, with De Laurentiis at the helm, the stadium thing was not likely to happen. So Fassone only stayed two years there, ending in May of 2012. At the end of May that year, he was appointed by Thohir as the Managing Director at Inter. 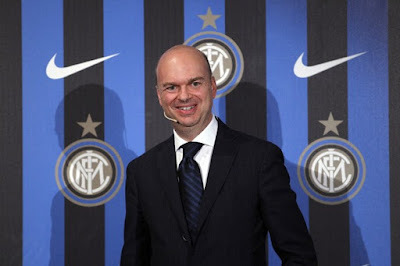 His other titles included CEO of the Inter Brand and General manager of Inter Media and Communication. He spent three years at Inter, during which time fans did a little marketing of their own by displaying a banner with the photo of him and that shirt which he had taken at Juventus. He has since apologized to anyone he offended, which is too bad. I liked him better when he trolled Inter, but whatever. 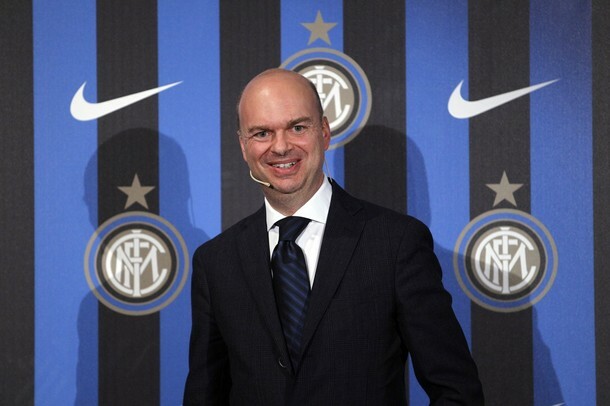 Apparently, he did not share the same vision or whatever with Inter’s CEO Bolingbroke, however, and he was relieved of his duties at Inter in September of last year. According to his LinkedIn page, which is clearly not up to date, he has also been serving as the CEO of M.I. Stadio since 2014. M.I. Stadio are the group that operate the San Siro. However that may have been a title that came with the job at Inter, I am not sure. It is also unclear as to whether or not he is still at that position. But whatever is the case, I am going to guess that it is a position that allowed Milan management to work closely with him prior to naming him as our new CEO. Also, having 13 years experience in Serie A, he will provide continuity and Italian leadership to a soon to be foreign-owned club. Not to mention that his experience and qualifications are just what the club need right now. I honestly didn’t know what to think when I heard his name was on the paperwork for the sale of the club. I’d heard his name, but couldn’t remember what all he was associated with. But having done a little reading, I feel a lot more confident now that he will be a good asset to the club. He has reinvented himself throughout his career, and done great work in marketing, international relations, and expanding the clubs he’s worked for. Though no one associated with the deal has said the word “stadium,” I like that the word is associated with him, too. And while no one has clarified whether or not Galliani would accept a demotion and stay on or whether he will be leaving, just knowing that someone with this kind of Serie A experience will definitely be at the top makes me able to sleep better at night. So if this is our fate, I think Marco Fassone may be just the right guy to shape Milan’s future.